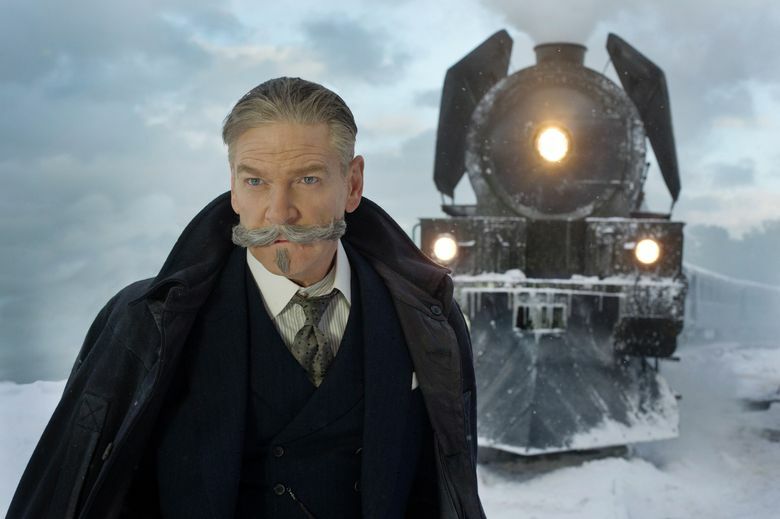 Festooned with a mustache that looks as if an eel is dancing across his face, Kenneth Branagh plays famous detective Hercule Poirot (“If it were easy, I would not be famous,” he notes dryly) in “Murder on the Orient Express,” a cheerily uneven but enjoyable adaptation of Agatha Christie’s blockbuster novel. Previously filmed in 1974 with an all-star cast led by Albert Finney, this version (directed by Branagh) is equally sparkly: The passengers in that elegant Deco train barreling across Europe to Calais in 1934 include Michelle Pfeiffer as a wealthy American widow, Penélope Cruz as a scarily intense missionary, Judi Dench as a feather-hatted Russian princess, Johnny Depp as a scar-faced gangster, Leslie Odom Jr. as a brooding doctor, Daisy Ridley as a charming governess, Josh Gad as a nervous little man with a secret, and numerous other well-costumed, furtive folk. All of these people have secrets — this is the world of Agatha Christie, after all — and they become gradually revealed, in predictable but pleasing fashion, as “Murder” unfolds. Early on, a passenger is found stabbed to death in a first-class cabin. (I won’t say who, just in case you’re new to this, but let’s just say it’s the person you’d most want bumped off — so thanks, Dame Agatha!) Poirot, who’s supposed to be on vacation and would really rather be reading Dickens, wearily gets to work examining the clues: a handkerchief with a monogram, a scarlet dressing gown, a pipe cleaner, a stopped watch, a mysterious connection of the victim with a horrible past crime. Red herrings swim past, identities are revealed and, throughout it all, the upholstery is glorious. 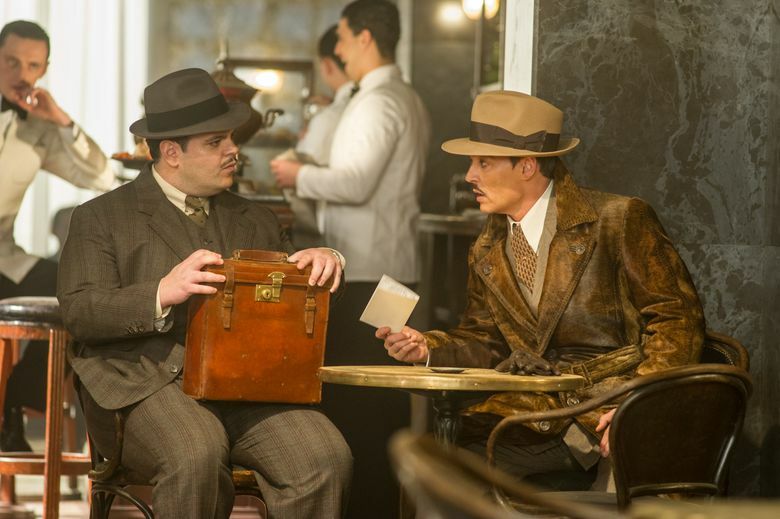 ‘Murder on the Orient Express,’ with Kenneth Branagh, Michelle Pfeiffer, Judi Dench, Johnny Depp, Derek Jacobi, Josh Gad, Penélope Cruz, Manuel Garcia-Rulfo, Olivia Colman, Willem Dafoe, Daisy Ridley, Leslie Odom Jr., Lucy Boynton, Sergei Polunin. Directed by Branagh, from a screenplay by Michael Green, based on the novel by Agatha Christie. 114 minutes. Rated PG-13 for violence and thematic elements. Several theaters. 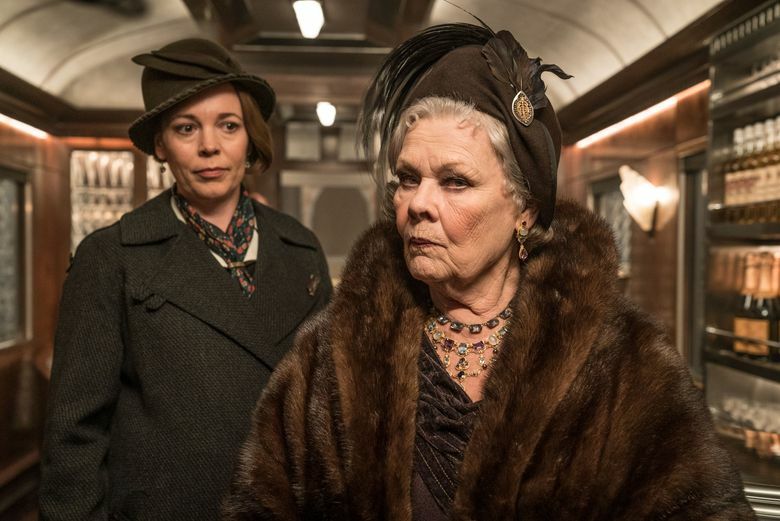 Branagh’s direction, like that train ride, isn’t always smooth; there are moments when the narrative seems to have weirdly jumped ahead of itself, and a few performances that feel puzzlingly off-key. But those with a fondness for old-school suspense drama will find much to enjoy here; this is a popcorn movie with a high-class pedigree. I can think of far worse ways to spend two hours than watching Pfeiffer preen, or Cruz murmuring ominous things about sin, or Sergei Polunin (as a Russian count) performing a flawless ballet move during a bar fight, or Branagh bristling behind that insane mustache. You probably can, too.